Tannoy speakers are manufactured in China*. The vast majority of reviewers and especially retailers avoid the subject like the plague. They fear the buying public's reaction - a negative reaction they think. And often they are right. A great deal of audio product manufactured behind the Great Wall is still not quite kosher, by the book or sounds as it should. Its only advantage is a low price to compete against recognized brands in the West and Japan. This picture is somewhat different in Asia which I know from manufacturers involved in that part of the world. But here in Europe it's exactly as described. The reason is very simple. Manufacturing in China is driven by maximum profit. Even the smallest saving on a single unit translates into big money on this scale of mass production. What then are we to make of an expensive speaker like the Tannoy DA10A? We look at it and sigh with jealousy, envious that stuff like this is no longer made back home, that others can make such beautiful cabinets, that the metal parts fit so well and that the drivers are simply perfect. In the case of such expensive speakers moving production to China still has the same objective. Minimize production costs. However there's no way final quality is allowed to be compromised just to make a higher profit. It’s actually the other way around. A product of such quality manufactured in Europe would cost twice as much. Were it to cost the same as being made in the country that brought us paper and gun powder, its manufacturer would have gone bust. Yet selling it at twice the price to absorb higher European labor rates wouldn't be considered competitive. * As it turns out, our Polish contributor didn't check his facts. 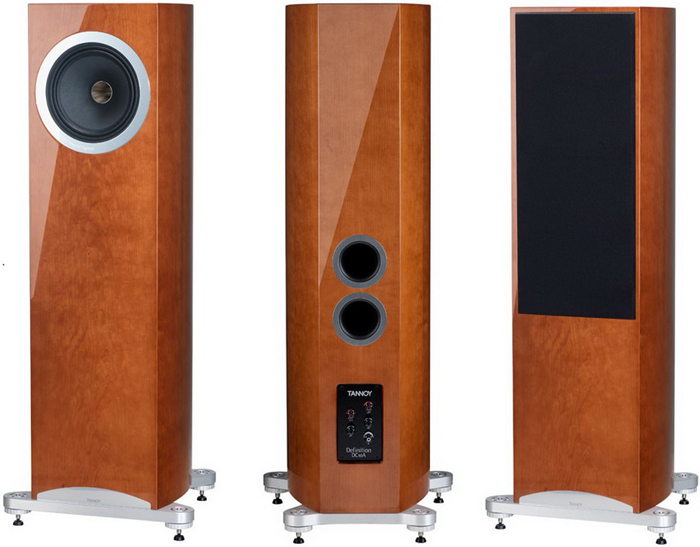 "Only the entry-level Tannoy residential loudspeakers (Mercury, Revolution, Precision) are made in China. The vast majority of Tannoy loudspeakers including all of the high-end residential, Prestige traditional and most pro-audio/touring models are still made in Scotland. The Definition series (including the Tannoy Definition DC10A) is made at Tannoy’s headquarters and main factory in Coatbridge in Scotland." The current brand owner TC Group registered in Denmark has chosen brand existence over snobby exclusivity. 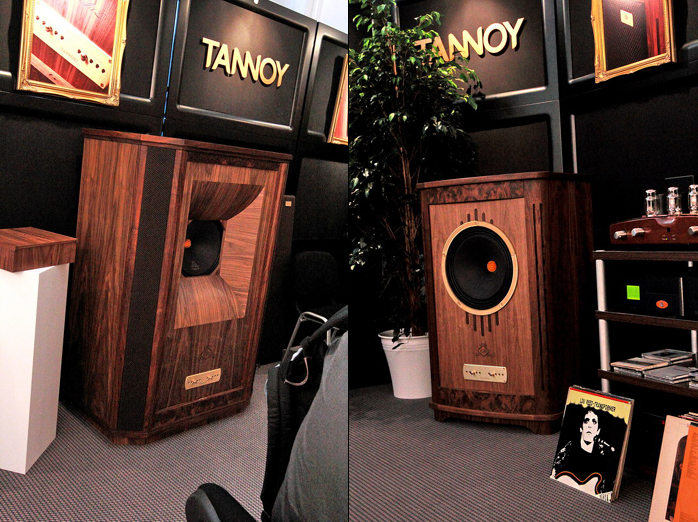 From the moment it took over in 2002 it turned Tannoy into a healthy well-managed company on the global audio map. At the same time obvious care was taken not to uproot what makes Tannoy special. Founded in 1926 under the name Tulsemere Manufacturing Company first registered on March 10th, 1932 (last year the firm celebrated its 80th anniversary), it was tied to audio from its very beginning. Its current name Tannoy is a contraction of tantalum alloy, the material used in an electrolytic rectifier developed by company founder Guy Fountain in 1926. 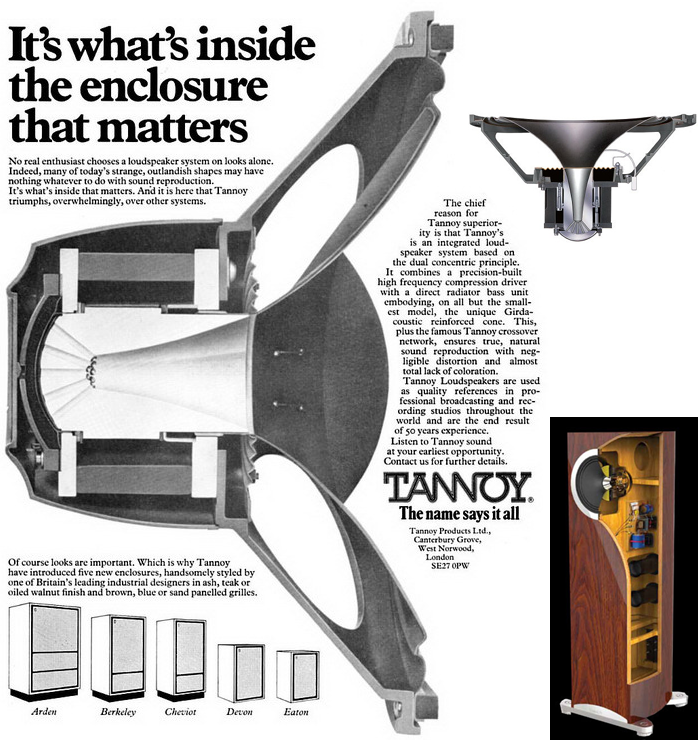 Tannoy is famous for its coaxial drive units called ‘dual concentric’ as developed in the late 1940s which became its trademark. In classic multi-way speakers drivers are placed vertically one above the other. A coaxial system meanwhile aligns its drive units on a shared axis which here has a tweeter radiate from the center of a mid/woofer in place of the usual dust cap. 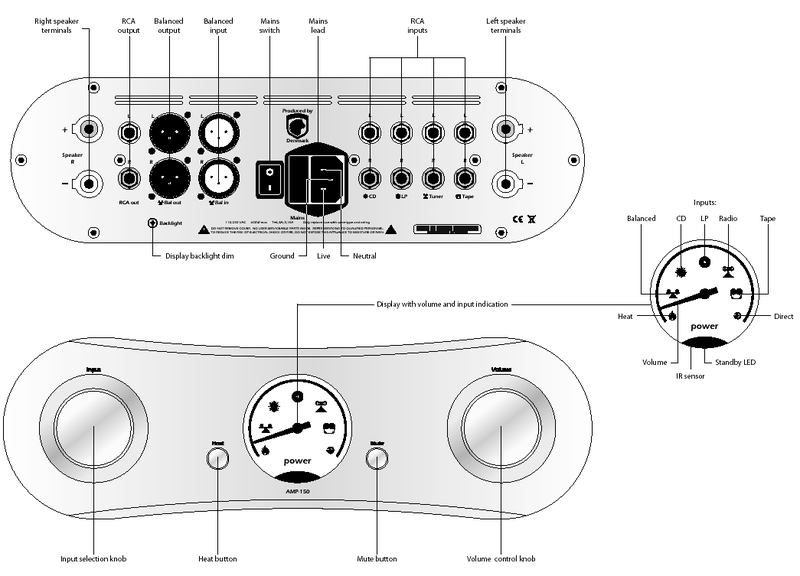 The currently best-known makers of this type of driver are KEF with their Uni-Q system; and Cabasse which extends the concept to tri- and quad-coaxial drivers. But TAD and Thiel for just two others also exploit the dual-concentric concept. Stock coaxial drivers meanwhile come from Seas and Altec Lansing. The latter actually has a patent similar to Tannoy’s which mounts the tweeter behind the woofer to radiate through a small metal horn that smoothly converts into the woofer cone. The Tannoy design is called PepperPot WaveGuide after its horn shape which resembles an upside-down pepper pot or shaker. Today's dual-concentric Tannoy system draws on their best practices from the past. The 10-inch woofer diaphragm is made of paper pulp with a twin-roll fabric surround. The drive units incorporates Alnico magnets named for their alloy composition of aluminum, nickel and cobalt. Their behavioral characteristic is markedly different from common ferrite magnets to contribute to a different tone. Alnico is more expensive and for that reason rarely used. The DC10A sports Tannoy’s most recent Alcomax 3 recipe. The tweeter is a large 2-inch compression-loaded aluminum dome for high power handling. The speaker cabinet was very carefully designed starting with multiple internal braces, "differential material technology", parabolically curved Ply cheeks, internal PCOCC copper wiring and a deep cryo-treated crossover wherein the entire filter assembly is super-cooled and returned to normal temps over a controlled period of time. The speaker rounds off with two pairs of biwirable WBT Nextgen terminals which incorporate a fifth post to electrically ground the driver chassis. Everything here screams class. Traditionalists will grumble that these ain't true Tannoys since they are manufactured in China and belong to a new line with classically shaped cabinets. And they do have their point. But those for whom the huge top-line jukeboxes or their prices are beyond reach and who instead see and touch the DC10A and admire their class can sit down to listen. Because here's a lot to listen to.